"IS EPRDF VERIDICAL ON ETHIOPIAN NATIONALISM ISSUES"
Almost a decade ago, a well equipped and trained army of a newly “independent nation”, Eritrea, which was historically part of Ethiopia, crossed the “ill defined border” creating havoc and destruction to the pride but poor Ethiopians living around the vicinity. Hoping that EPLF would not compromise its dual interest and would eventually pull back its troops quietly, the Ethiopian government counseled to its angry citizens and claimed that “it was caught by surprise and did not expect Shabia to initiate a skirmish”. This Ethiopian government’s claim was later disputed and a set of counter arguments came forward to proof that the EPRDF leaders were aware of Shabia’s plan to invade Ethiopia. In fact, after members of the central committee of TPLF raised the issue in one of their meetings, the core leaders of the front headed by PM Meles tried to suppress it but agreed to collect more evidence. Immediately, an Ethiopian female security agent was placed in Asmara for many months and returned back with piles of concrete proofs. Her evidence supported report was presented to the central committee of TPLF as well as to the core EPRDF leadership for immediate response. So why did the Ethiopian government deny about its deep knowledge of Shabia’s plan for an all out invasion? Was it possible that the invasion could have been averted, thus saved many lives and properties, had the Ethiopian government taken a precautionary measure and dispatched the army to secure the border immediately on the recommendation of its own intelligence community? When Shabia’s soldiers crossed the border, killing every one they encounter, burning properties including schools and places of worship, committing brutal atrocities, a delegation of Eritrean government led by General Sebhat Efrem were enjoying the night out in Addis Ababa and discussing the “border issues” during the day while their boss, Esayas, was being treated in Saudi Arabia which along many Arab countries, particularly Egypt, finances EPLF and its network of “liberation fronts”. The government of Ethiopia then attempted to claim that the border row was just a pretext and the main contentious issue was that the Ethiopian economy was growing faster and has become an obstacle to Shabia’s policy of making Eritrea a ‘Singapore of Africa’. But, are there any sane group, let alone the leaders of EPLF, with their abundance of mediocre minds and thievery, who would oppose to be a neighbor of a huge nation with a potential to become a vibrant economy such as Ethiopia where the government was a willing partner? Surely, the Ethiopian economy was on fast track before Shabia’s invasion of Ethiopian territories on May 1998. Within five years since the united heroic children of Ethiopia freed Addis from the last remnants of the Derg regime, EPRDF managed to prepare and ratify a constitution by including many political parties even OLF, create a relative political stability, and chart out sound economic strategies. By 1997, Ethiopia launched more than forty projects to build major dams for use in agricultural irrigations and to produce electric power based on Ethiopia’s God given rivers that are the sources of more than 87% of the Nile water. This was a significant historical achievement its implementation would require a transparent and democratic government in place. At the same time, the economy of Eritrea was also making huge progress, perhaps faster than Ethiopia’s, without its own natural resources to sustain it. Shabia, not only had managed to fully tap the lion share of the natural resources of Ethiopia, but had successfully run a series of lucrative illegal companies all over Ethiopia. Eritrea had once become a world recognized coffee exporting country without a single coffee plant at its disposal. While the Eritrean embassy in Addis was secretly printing the Ethiopian currency, its security agents were killing and deporting thousands of Ethiopians in Eritrea. Some of them were forced to work in slave labors. It also engaged in eliminating Eritrean opposition members as well as civilian Ethiopians of Eritrean origins all over East Africa on broad day light. Why would then the core leadership of the Ethiopian government congruently surface to claim its weak argument that the main source of the war is Shabia’s insistence to transform Eritrean economy to a status of a ‘Singapore of Africa’? To begin with, this argument is very misleading in two respects. First it depicts Shabia as a group which devotes itself to a legitimate economic development and prosperity to its people and peaceful coexistence with its neighbor. The idea here is to give Shabia a face lift making it harder for Ethiopia to justify any military response to Shabia’s provocation without any criticism from the international community. The fact is that Shabia’s policy is the work of the enemies of Ethiopia particularly Egypt and it would continue to exist until an Ethiopian nationalist party forms the government in Ethiopia. The second part is self-congratulatory and making the leaders of the Ethiopian government as visionary and defenders of the interest of the country even though for many years now that citizens have been accusing the core leadership of EPRDF of treason for their failures to object Shabia’s open robbery and aggressions which destroyed communities, hundreds thousands of lives and billions dollars worth of properties. The recent voluntary declaration of allegiance by one of the founder of TPLF, Sebhat Nega, in his interview with Demisti Woyane, is a clear testimony and clarification of the priorities of the sacrifice of some of these leaders. During the war in Badime, when the heroic Ethiopian armed forces launched its final offence and dying in thousands, the same person was suggesting in Aser Magazine that “there is no reason that Eritrea would not become stateless like Somalia”. When many Ethiopians, particularly the bright children of Tigray, the Tegadelties, allege that Shabia along with some members of the EPRDF leadership were engaged in pitiable cupidity profiting within Shabia controlled businesses inside Ethiopia, they were imprecated at best or eliminated at worst. These victims include prominent Ethiopian patriots such as Hayelom Araya and an academic scholar, Professor Asrat. Another Ethiopian nationalist who has always been at odds with Shabia’s provocative and illegal businesses and political activities inside Ethiopia is, his Excellency, Seye Abraha. It is reported, on many occasion, that Seye lost his ministerial portfolio in the defense ministry and a chairmanship of the board of directors of the Ethiopian airlines because he, supported by TPLF secret agents, managed to stop Shabia’s plot to take over the famous Ethiopian airlines. Within a short time, he fired all Shabia infiltrated agents inside the fleet and saved the airlines. Seye was then forced to leave the military and became the chairman of the board of directors of the newly established Endowment Fund for Tigray (EFFORT). Under his rigorous leadership, a development thirsty team of Tegadelties, and a conducive environment and support mechanism provided by the regional administrative members, the endowment fund built more than six major industries in Tigray within a short period of time. This achievement was publicly declared “a threat” by Shabia leaders. Soon after Shabia troops crossed the border, and the telephone conversations between TPLF and Shabia leaders “failed”, the US and Rwandan team called for an immediate withdrawal and peaceful solution to the border problem. But Shabia went ahead and dropped “internationally banned chemical weapons” on Aider elementary school in Makalle, killing dozens of innocent children and wounding many more. Instantly, its air force bombed a relief center in the town of Adigrat killing displaced people lined up to receive their first meals in days. Some of the dead women had their children on their back. It was reported that the airplane used to bomb these innocent people was donated to Shabia by the Ethiopian government during Shabia’s war with Yemen based on a military pact secretly signed between Shabia and the Ethiopian leadership without the knowledge of the parliament. Many members of the councils of ministers including PM Meles publicly declared that “Badime has never been under the control of any government based in Asmara” and sought to re-establish “the ante status quo” before any negotiation of demarcation with Shabia took place. But Shabia insisted to keep the occupied areas under its control while negotiating the outcome of the border. The occupation of Badime, Alitena, Bure and Zalambassa continued for more than two years where rapes of women, beatings and killings of innocent people were rampant; and destruction of Schools and burning of mosques and churches became the norm. At this time, almost all Tegadelties who were critical of the relationship between the core leaders of TPLF and EPLF volunteered to serve their country again. Among them was Seye Abraha who immediately became the chairman of the war committee. The chairmanship of the endowment fund was immediately replaced by Sebhat Nega. The war committee then meticulously masterminded a perfect military plan. 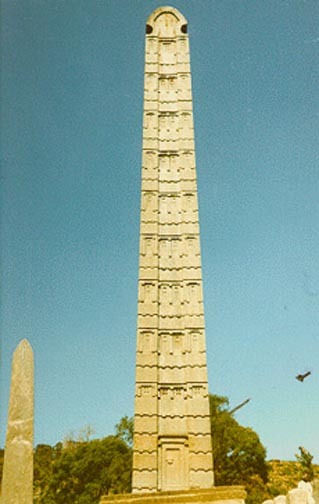 The immediate task, the competing demands and the last solution of the nationalist elements inside EPRDF was to systematically extract EPLF’s leadership out of its congenital business of soliciting its services of destabilizing Ethiopia, using its citizens, for foreign governments, mainly Egypt, and re-establish the peaceful co-existence once enjoyed for centuries by all people on both sides of the Mereb River. The gallant Ethiopian armed forces led by their excellent generals Sadkan, Samora, Abebe and Berhe to name a few executed a series of exceptional military operations. In “Operation Sunset”, Badime town with its fertile and rich land was liberated and became significant as Adwa, Maichew, etc, where Ethiopian nationalism was resurrected and celebrated. But these series of victories which cost more than 70000 poor Ethiopian lives from all corners of the nation and above 3 billion dollars ill-afford treasures were cut short without any substantial gain on the ground. Many members including more than half of the central committee of TPLF were purged and imprisoned. President Nagasso Gidada who was the first dignitary to visit the victims of Ayder was dismissed. Senior military leaders such as chief of staff, General Sadkan, and chief of air force, General Abebe were reportedly forced to resign. Members of TPLF who sought a different and in kind response to Shabia’s aggression were terminated from their employments, and dismissed from their TPLF memberships. Some people even lost their lives. The former chief of intelligence, veteran TPLF senior member, Kinfe was killed in front of a military club a week after his arrival to Addis Ababa from his trip to USA where, his former colleagues alleged, that he refused to meet his Eritrean counterpart as part of a “normalization” process. General Berhe was also reportedly killed by a “suicidal spouse”. The chairman of the war committee, Seye Abraha, along with his entire family was thrown to a prison with charges of corruptions. Though, Seye was set free in one of his court appearances, he was illegally taken back to prison by a secret police. Many Judges including Ms Birtukan Medeksa who set him free were fired. Seye Abraha declared to the court on many occasions that he “does not own a house, a car, or any bank account any where in the world” and insisted that he is in “captive for his converging political stands with that of the prime minister and the core leadership of the government in relation to Ethiopia’s sworn enemy: Shabia”. He challenged the prosecutors to submit any shred of evidence about his “financial empire” that the government media was allegedly reporting almost every day. His wife and children still pray and expect for justice. In a recent interview on Degen Radio (www.ethiopiancommentator.com), Seye’s frail and bed ridden mother, who used to be considered as the mother of TPLF for her couragoues support during the struggle angrily labeled the core leadership of “cowardice”, and is crying to her death and begging her lord for freedom of her children who have been languishing in prison all these years. Here is Seye, a legend equivalent to Hayelom, languishing in prison for more than six years for prompt up charges of corruption in which the state prosecutor failed to submit any shred of evidence to support its case, the judges continue to run away in order to avoid the harsh consequences if they reach a verdict in favor of him, and yet, the Ethiopian government fired its own appointed team of investigators last year when it reported that more than a billion Ethiopian birr was not accounted for. The lead investigator was publicly vilified and later fired. The PM declared the report to be “false and massaged by extremist elements of the opposition” and was not tabled to the parliament for a debate. To this day, no new investigation was undertaken and corruption continues to mushroom in the country at the speed of sound. Many Ethiopians believe, with full conviction that Seye is being kept in prison for all this years for his great honor to the ideals of the Tegadelties and to his heroic sacrifice to Ethiopian nationalism. By any standard of measure, Seye is a nonpareil and a living statue to the advancement his people. While languishing in prison for all these years, he has remained innocent at the court of public opinion which recognizes the measures so far taken by the core EPRDF leadership to keep Seye in prison is nothing but an extension of the policy of Shabia and an insult to Ethiopian nationalism. Stop the incarceration of Seye Abraha now!